If you’ve run or walked in past Knights Challenge 5k events, you might recognize this parking lot. It is St. John the Evangelist’s parking lot. 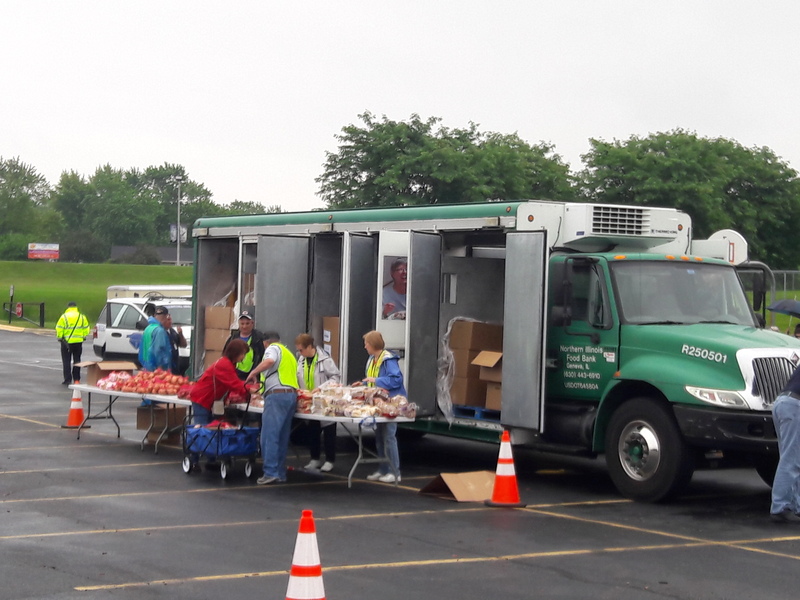 Hanover Township Food Pantry, in conjunction with the Greater Chicago Food Depository, was at St. Johns on June 26th distributing food to needy right in our own neighborhood. Several of the Knights of Columbus and Ladies Auxiliary were on hand to help with the distribution. There were 75 families that received food at this distribution. Times haven’t changed much since 1882. 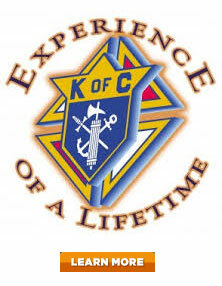 There are still families in need, and the Knights of Columbus is there to render assistance. 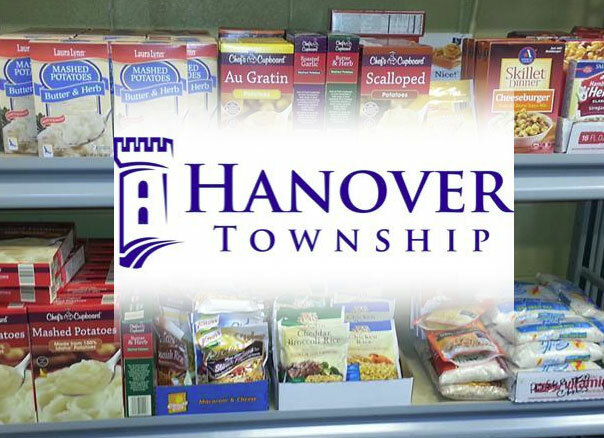 We have partnered with Hanover Township Food Pantry for many years to help provide food to families in need. This is our 5th Annual Knights Challenge 5K which benefits the food pantry directly. Hanover Township Food Pantry helps more than 800 families each month. Keeping their shelves full is always a struggle, but by generous support from the community, they are able to continue their mission of caring for those families. Through your generosity, by sponsoring, participating in the Knights Challenge, or making a monetary donation, Mary’s Millennium Council is able to continue playing our role in serving the community.